What did I do during my last day in Istanbul? It’s almost too cliche to say this, but words can hardly describe my experiences is Istanbul and my overall thoughts on the city. I admit that as I write this, I can hardly capture the harmonious coexistence of the old and new of this modern metropolis in a post or two. What I can say is that it was life-altering; as all travels should. I only had a few hours before I had to check-in at the airport, not enough to get to the further areas of Istanbul I want to see, so I decided to spend it by the Sea of Marmara taking photos. Some of them turned out quite nice, but I won’t be able to upload them until I reach Jordan. This being said, I’ll probably set up a Flickr account! Look out for future updates via twitter (@danielhkwan). Quick update: I’m going to Jordan! Just thought I’d throw this out into the blogosphere! I will be returning to Madaba, Jordan tomorrow for a two month stay! This will be my third summer spent doing archaeological fieldwork in the country. I keep returning for the same reason. Jordan; the people, sights, sounds, and tastes all have a special place in my heart. Updates will follow shortly! 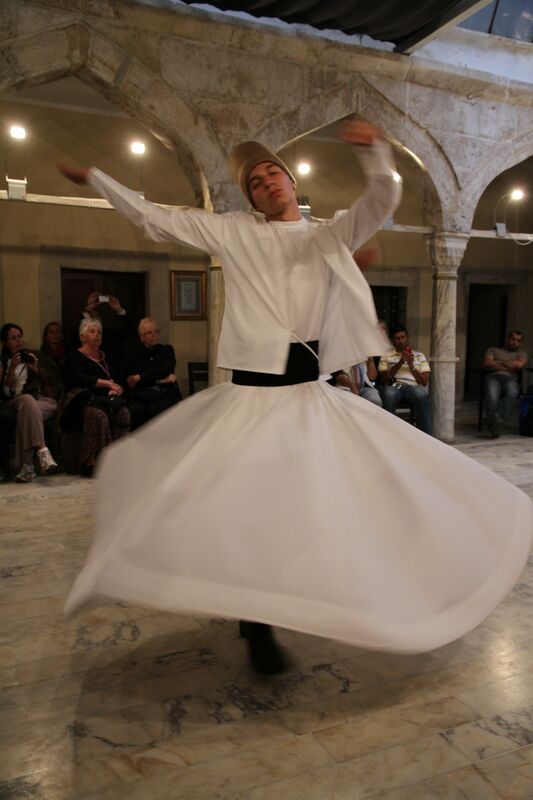 I had the opportunity to see a Sufi music concert and a formal Sama ceremony, where members of the Mevlevi Order whirl as a form of divine remembrance, or dhikr (hence the famous name Whirling dervish). It was a mesmerizing and inspiring display of faith and physical expression. Needless to say, I think this was the hardest part of my Istanbul trip to photograph! I took this photo behind the New Mosque, which sits by the Golden Horn (the inlet of the Bosphorus that divides Istanbul) and infront of what is now the famous Spice Market. This is one of my favorite photos from yesterday. A few minutes after a took it, a pigeon decided to leave a little “gift” on my shoulder. Apparently it’s good luck here. We’ll have to wait and see. Adventure – Something good for the heart and soul. It’s taken me a while to write this. Istanbul has been an incredible experience for me, and I want to produce something that can accurately convey my feelings for this ancient city. Over the last few days, I’ve put a considerable amount of thought into what I’d like to include in my second post about my trip to Istanbul. Will I talk about all of the fantastic locales I’ve travelled to? The stunning artistry? The stunning showcases of ceramic tiles, awe-inspiring caligraphy, and other displays of the wealth and affluence possessed by Constantinople/Istanbul’s elite? For a few days I didn’t know. Then it hit me. My trip here has been a number of things, but most importantly it’s served as a lesson in self-reflection. Indeed, during this trip I’ve come to realize that all anyone really needs is a good adventure. Be it a trip to an unfamiliar local or a simple act of spontaneity, a welcome break in the tedium of daily life. Istanbul. There’s something about this city. It’s history. It’s charm. Something that has made this trip an important part of my happiness project. By this point in the writing process, I have decided to keep this post shorter than I originally intended. 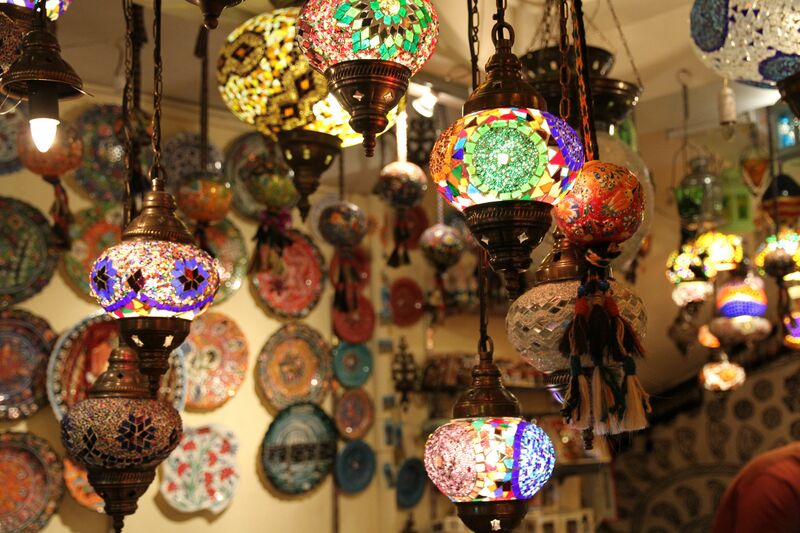 Although the awe-inspiring architecture and interior decor of the Hagia Sophia will certainly remain one of my trip’s major highlights, it was a visit to a modest and kind silversmith that has thus far had the greatest impact on me. It may sound cliche. You may think it’s an exaggeration. But I assure you that it is the truth and nothing but that. Despite changes in the ruling parties of this city, to this day Istanbul is a symbol of enduring traditions. Of both persistence and accommodation. Something rendered truly unique by its history. Not only is this noted in the cities’ impressive architectural installations, but they are reflected in local artistic traditions, cuisine, cultural norms, religion, etc. During my second visit to the Grand Bazaar, the world’s oldest shopping mall, I had the honor to meet Kapik Usta (Kapik the Master) in the Kalcilar Han (“lodgers inn” also known as the “silversmith han”). It was here that I got to experience first-hand the master-apprentice artisan relationship. A silver artisan (sivamaci), Kapik is a silversmith specializes in the use of a power lathe and steel molds to transform flat pieces of silver-covered brass into beautiful forms. Kapik didn’t speak English, but his enthusiastic son (and apprentice) Alex was willing to explain the production process with what little English he knew. 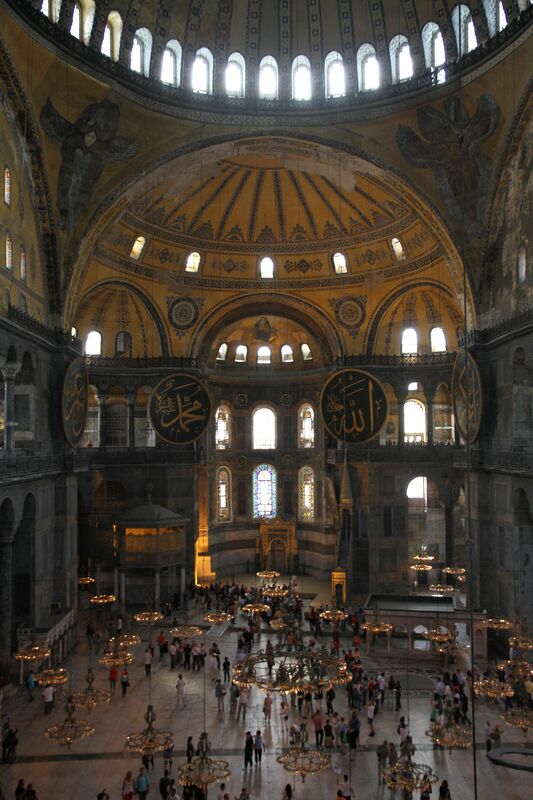 It was quite the experience, and one I feel everyone should have in Istanbul. Due to the overwhelming quantity of cheap jewelry and our tendency to overlook the entire process behind what we purchase, it’s easy for one to forget the hard work and dedication that artisans apply to this trade. It’s simply quite inspiring. Indeed, although I my career is nothing close to that of an “artisan”, this experience made me realize that, as selfish as this sounds, we’re travelling for ourselves. When abroad, you don’t have to prove anything to anyone. Travel is about the experience. The opportunity for self-reflection while abroad. The opportunity to meet new people, experience new things, and expose ourselves to stimuli that improve and allow us to gain a better understanding of ourselves. This is easily one of my favorite photos that I’ve taken on this trip so far. The entire time I here, all I could think of was, “Jackie Chan filmed a fight scene from Accidental Spy here!”. A month ago, if you had asked me what I had planned for the summer, I wouldn’t have been able to tell you. 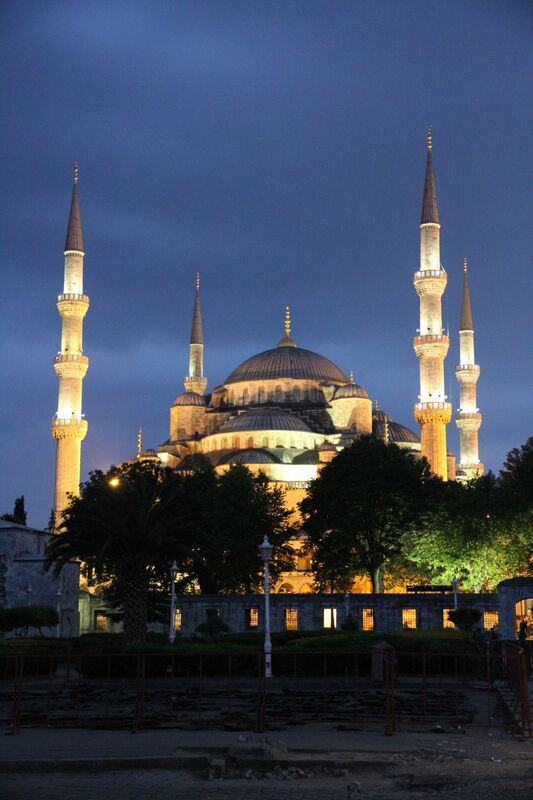 Now I’m in Istanbul; historically known as the capital of the Eastern Roman, Latin and the Ottoman Empires! My first day in this city has been wonderful. 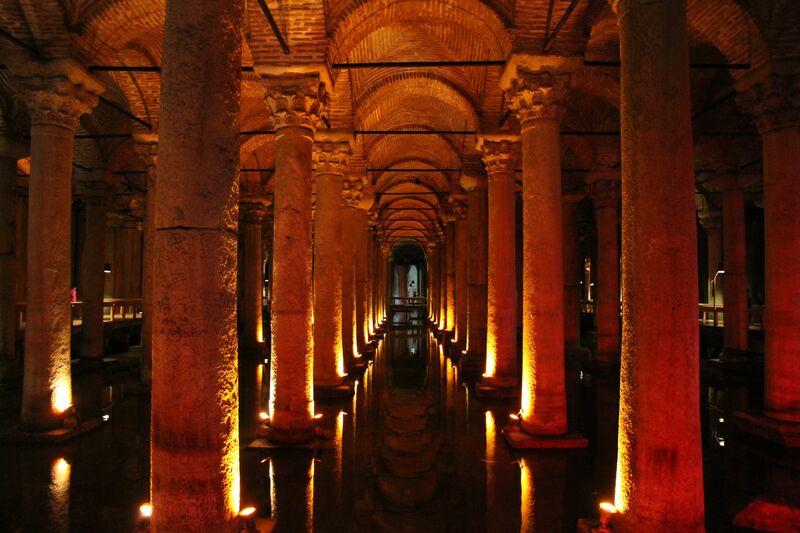 Away from the highly modernized metropolitan centers, I decided to stay in the Sultanahmet district, the famous home of the Hagia Sophia (Ayasofya), Blue Mosque, and underground cistern. It’s fantastic here. Seeing the intersection and contrast of historical architecture and fairly modern structures is a welcome environment. Like in Jordan, where I’ve spent the last three of my summers (up to and including this one), the people here are incredibly friendly. I arrived in the afternoon and didn’t get a chance to sample much of the local cuisine. For once, my eyes and desire to see as much as I possibly could overrode my hunger. At least for a while. 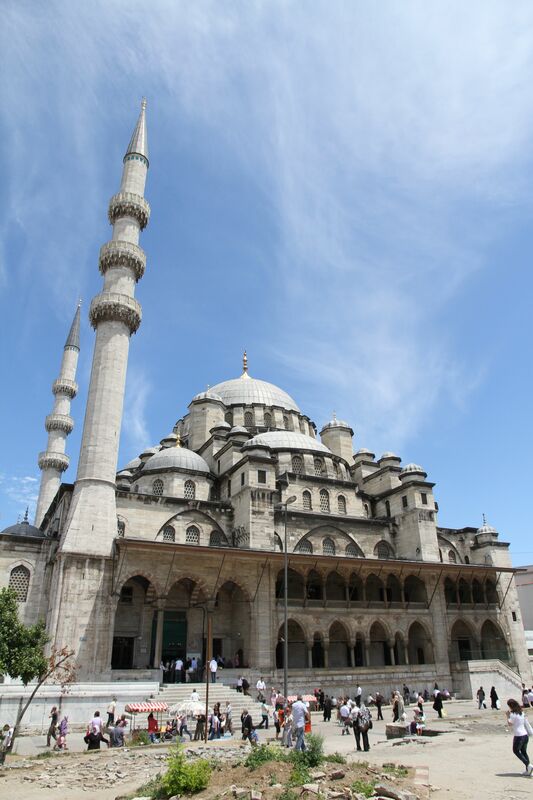 Although being in Istanbul is quite the relief, the journey over was a rather stressful endeavour. I always find myself in an interesting predicament. You see, I love flying. However, almost every time I’ve travelled via plane, it’s been an unpleasant journey. In-flight meals are usually awful (is it even considered real food?) and I continually learn that babies are capable of sustained crying for extended periods of time. These thing really detract from the overall aerial experience. This being said, I’ve found that my overall level of happiness has increased. Although this is my first time to Istanbul, I can’t help but feel the same sense of comfort one gets when returning home. Perhaps it’s the fact that I’m back to travelling. Perhaps because I’m in familiar territory; a country rich in history, where modern meets ancient. Needless to say. I’m incredibly happy. So happy that on my walk back to my hotel from dinner, a man came up to me and asked me why I looked so happy. That turned into an interesting conversation as he said that I speak with numerous accents. Apparently I sound like an American mixed with hints of a British accent. I didn’t buy a word of it. Anyways, I’ve got a big day ahead of me tomorrow. Breakfast in my hotel’s garden terrace, a session at the Cemberlitas Hamami (a Turkish bath in the district), and a tour of the Blue Mosque. I’m living a hard life.